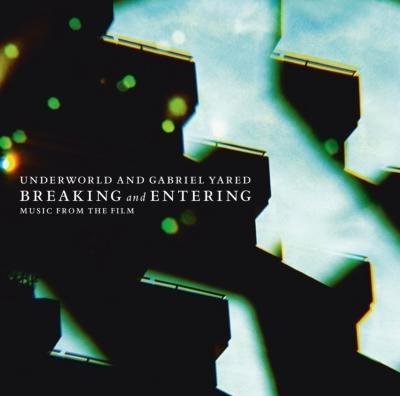 There are some pictures Perou shot of Gabriel Yared and R&K of underworld at Gabriels site. Go to 'news' and then 'breaking and entering'. Resident Presents Nic Fanciulli Volume 2 will be released October 30th. Site with info about the 14/11 Sao Paulo concert, here. There is a link to www.underworldlive.com at the Apple Quicktime Music page now. It links to the cocoon ad at uwlive. There is a little piece about the upcoming release of the Breaking and Entering soundtrack in this weeks EQmagazine. Nothing new but the release date. You can read the .pdf here, it's on page 2. Underworld, Sven Vath and the Cocoon club team up with Apple Quicktime to stream the 3 hour event live from the Cocoon into your livingroom. Serious partner for the stream so there will be loads of bandwide. It has been a while since the last update. I've been busy with other things. 1. If you're not attending the Cocoon, Frankfurt Oct. 12th show, be sure to log in at underworldlive.com during that gig. There will be a live webcast of this event. I did hear a little bird wisper that they hope to use extra bandwide for high(er) quality broadcasting this time. Let's hope that works out! Tickets for this concert are sold-out! 2. I picked up JAL to Tokyo 12" (UWR008) at rare-records, I think the artwork is great. It even has the lyrics at the front. 3. The Breaking & Entering movie release is scheduled for November 17th in the UK. (as read at the dirty/forum). 4. The Breaking & Entering soundtrack will be released October 1st 2006 in Europa. barcode EAN: 5033197435527 (As read at rtsr mailinglist). There are a couple of banners and a poster for the Helsinki gig at this site. Because the Ministry of Sound club was opened 15 years ago, there is a whole site about this. Lots of info about the past and interviews with people who did preform/DJ there. Karl is one of them. HMV.co.jp has the Breaking and Entering soundtrack cd listed now with a tracklisting. The only song we know is JAL to tokyo (riverrun version). Release date oct 18th.